Perhaps you have found yourself in a situation where you have to entertain a child for a period of time. This is no easy task as children are fickle and often short on attention span. 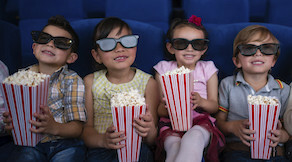 In this top ten children’s movies list I will run down a few choice kid’s flicks that will be sure to enchant and entertain the little ones. 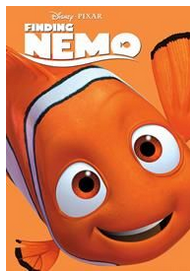 Finding Nemo is the heartwarming tale of fish named Nemo who gets lost after being abducted by a diver. When Nemo goes missing it is up to his friend Dory to set off on a classic hero’s journey style adventure to him. E.T. 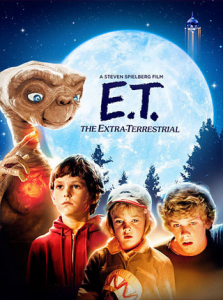 tells the story a alien who becomes stranded on Earth and befriends a young boy who introduces the alien to his friend and little sister. After the alien falls sick the government threatens to intervene leading to an exciting race against time to save the alien before the government can get its hands on them. When in doubt go for the classics. 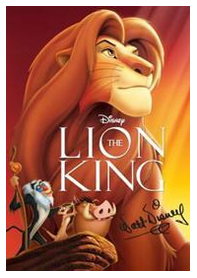 The Lion King is a wonderful story somewhat borrowed from the works of Shakespeare. This epic film is renowned not only for its engaging story, but also the wonderful soundtrack and animation that accompany it. Frozen is an uplifting story about a young woman who tries to save her kingdom from eternal darkness by seeking out her sister, the ice queen. 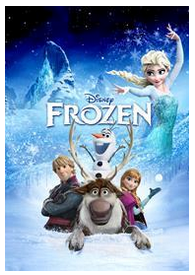 Since its release in 2013 Frozen has captured the imagination of millions of children. 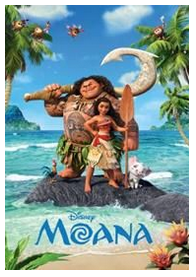 Moana is classic Disney princess story based partially in Polynesian folklore. Monana, the her of the story, is a young girl who sets off on a daring adventure to save her people. The Iron is the story of a boy who discovers, and forms a bond with, a giant extra terrestrial robot. When the robot is threatened by a government agent who believes it may be dangerous the boy teams up with an older hipster to save the giant. 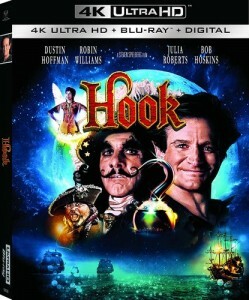 Hook is a re-telling of Peter Pan with the late, great Robin Williams starring as Peter and Dustin Hoffman as his perpetual nemesis captain hook. The live action style of the film Hook really makes the story come alive. 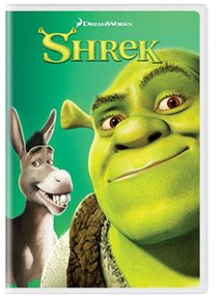 Shrek tells the story of an unlikely and reluctant hero in the form a ogre who lives alone in swamp. After other fairytale creatures are expelled from the local kingdom by a despot king Shrek is eventually convinced to save the day. Kung Foo Panda tells the story of an inept Panda who chases his dream of becoming a master martial artist. This is a great story about persistence and perseverance. 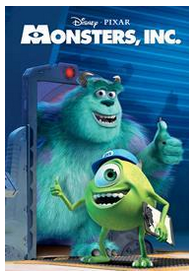 Monsters Inc imagines a world where the monsters you believed were hiding in your closet as child do exist. The film follows the story of two monsters and the young human girl who has entered their strange world. I hope this list of the top ten children’s movies has proven helpful for all of you unexpected babysitters and uninitiated caretakers! These films are all family friendly and pretty entertaining for children of all ages.